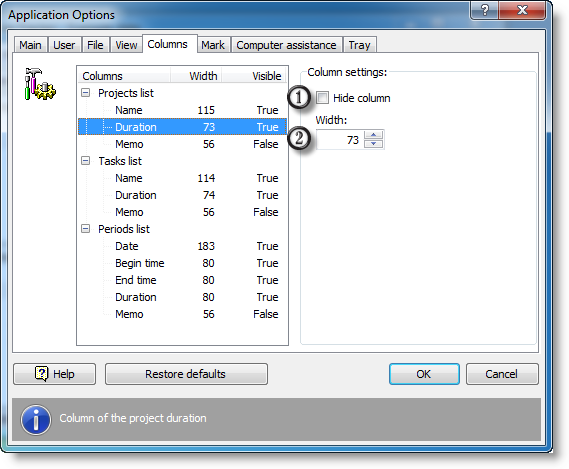 You can customize columns of project, task and period lists. 1. If this option is on, all columns will be shrink to fit current list size. 2. 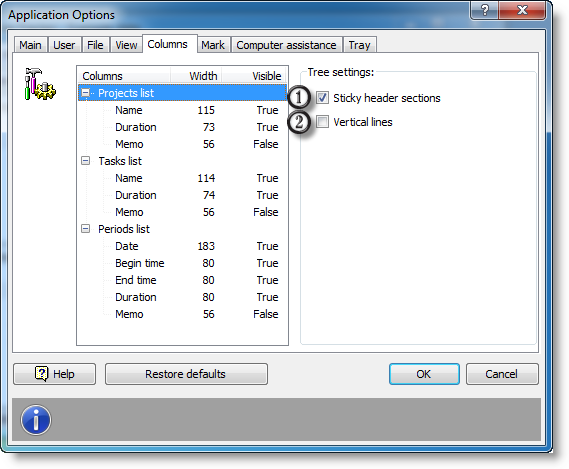 If this option is on, vertical lines will be displayed. 1. If this option is on, the column will not be displayed. 2. Column width in pixels. This setting will be adapted automatically if shrink to fit option is on.